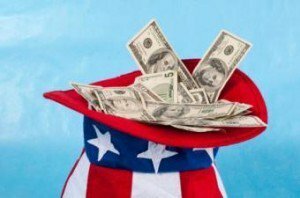 oes Parental Wealth Impact Homeownership? The confidence of builders in the single-family housing market for consumers in the age group of 55 years and above is on the rise. As is the demand for homes in this age group, according to the National Association of Home Builders (NAHB) 55+ Housing Market Index (HMI). This quarterly index measures data for single-family as well as multifamily condominium housing for older homeowners and buyers. Each segment of the 55+ HMI measures builder sentiment based on a survey on current sales, prospective buyer traffic and anticipated six-month sales for that market. According to the NAHB When compared to the previous quarter, among the three single-family components present sales increased three points to 73, sales expected over the next six months declined three points to 77 and traffic for prospective buyers fell four points to 47. Despite the flat outlook, builders and developers remain confident and continue to see demand from consumers aged 55 years and more for housing. 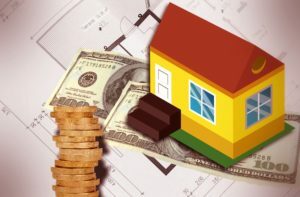 However, "increases in building material costs have made it challenging to meet this demand," said Chuck Ellison, Chairman of NAHB's 55+ Housing Industry Council and VP, Land, at Miller & Smith. Robert Dietz, Chief Economist at NAHB, agreed, "Builders need to manage rising building material costs especially for lumber in order to continue providing housing at competitive prices." But what is driving demand among consumers in this age group? According to Dietz, "Strong economic growth and rising homeowner wealth are allowing consumers to sell their current homes and buy or rent houses in 55+ communities. The 55+ multifamily condo HMI dropped seven points to 57, however, according to NAHB, it was still the second-highest reading since the inception of the index in 2008. All three 55+ condo HMI components decreased in the second quarter: Present sales fell six points to 61, sales expected in the next six months dropped seven points to 63 and traffic of perspective buyers declined 11 points to 44. With three straight months of decline in annual appreciation, home prices grew at a slower rate for the first time in four years. This according to the latest Black Knight Mortgage Monitor report released on Monday. 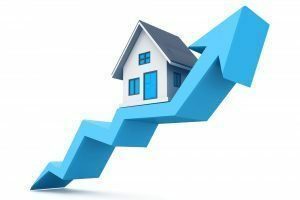 The report, which looked at data at the end of June 2018, examined the slowdown in the rate of home price appreciation between March to May 2018. It also gauged the impact of this slowdown and the slightly lower interest rates on home affordability. The Black Knight report indicated that every state saw prices increase in May, but at 0.93 percent, which is the lowest growth rate for the month in four years. Despite this slow growth, the annual appreciation in May 2018 was at 6.3 percent, about 2.5 percentage points higher than the 25-year average. Over the past three months, the report revealed, 32 states had seen a deceleration in appreciation while it had picked up speed in 18 states. Thirty-three of the 50 largest U.S. markets "are also experiencing slowdowns," the report said. The housing market in California slowed more than three times the national average, with annual appreciation cooling from 10.2 percent in February to 8.8 percent in May. Other hot housing markets to see a slow down in appreciation included Seattle (-2.3 percent); Riverside (-2.1 percent), San Diego (-1.8 percent); Los Angeles (-1.4 percent); Sacramento (-1.4 percent); and San Francisco (-0.6 percent). All these markets slowed down faster than the national average of 0.4 percent, Black Knight said. Markets that saw an acceleration in appreciation included Washington, D.C., Hawaii, and Las Vegas. The report also looked at how rising short-term interest rates have impacted holders of outstanding adjustable-rate mortgages (ARMs). It found that 1.7 million such borrowers saw their monthly mortgage payments increase by an average of $70 over the past 12 months. "This subset of borrowers were the beneficiary of downward reductions in their rates and payments following the financial crisis, but that’s no longer the case," Black Knight said. Freddie Mac released its Q2 financial results on Tuesday, announcing $2.5 billion in net income and $2.4 billion in comprehensive income for the quarter. The GSE attributed the earnings to “strong business revenues,” which it reported at $334 million pre-tax, and “favorable litigation judgment,” referencing a final judgment of $264 million post-tax against Nomura Holding America, Inc.
Freddie Mac will pay $1.6 billion in dividends to the U.S. Treasury, the amount it earned in excess of its $3.0 billion capital reserve requirement. In the first quarter of the year, Freddie was forced to draw from the Treasury as its capital reserve was below the $3.0 billion mark. Cumulatively, however, Freddie reports paying $40.8 billion more back to the Treasury than it has received since the initial bailout in 2008. The GSE has paid $112.4 billion to the Treasury in dividends compared to the $71.6 billion it received in assistance. New single-family home loan originations increased 29 percent over the year in Q2, reaching $84 billion. New multifamily loan originations increased 13 percent, totaling $16 billion for the quarter. Delinquencies remained low among both loan categories. Freddie Mac’s single-family serious delinquency rate for the second quarter was 0.82 percent, its lowest rate since early 2008. The multifamily delinquency rate was 0.01 percent. 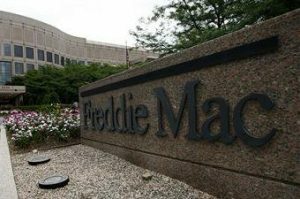 Freddie Mac has transferred some of its credit risk on more than $1 trillion in single-family mortgage loans, according to its earnings report, and the GSE plans to continue risk-transfer transactions for loans originated in the second quarter. Freddie has also transferred “a large majority of credit risk” on its multifamily loans. Over the second quarter, Freddie provided $103 billion in liquidity to the mortgage market, funding almost 362,000 single-family homes and 191,000 rental units. 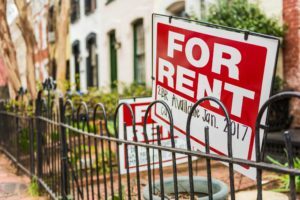 About 87 percent of the multifamily rental units Freddie Mac financed were affordable to households earning below the median income in their area. Freddie Mac also reported that first-time homebuyers made up 46 percent of its new purchase loans originated in the second quarter, the highest level reported within the past 10 years. Currently, baby boomers, those born between 1946 and 1964, live in 46 million owner-occupied homes with a total combined value of $13.5 trillion, according to the research. “With the oldest boomers now in their early 70s, the beginning of a mass homeownership exodus looms on the horizon, fueling fears of a ‘generational housing bubble’ in which homeownership demand from the younger generations is insufficient to fill the void left by multitudes of departing older owners,” stated Dowell Myers of the University of Southern California and Patrick Simmons of Fannie Mae in their report that was published on the Fannie Mae blog. Examining historical and recent homeownership trends among older Americans, the researchers sought to predict how many older homeowners would leave the market over the next two decades. Between 2006 and 2016, 9.2 million Americans who reached age 65 or older during the decade transitioned out of homeownership, the report indicated. Over the next 10 years, from 2016 to 2026, the researchers anticipate another 10.5 million to 11.9 million homeowners exiting their homes. Over the following decade, between 13.1 million and 14.6 million older Americans will exit the housing market. “The number of older homeowners ‘at risk’ of attrition due to advancing age will balloon as the large baby boomer generation moves full-force into the 65-and-older age group where homeowner retention rates drop substantially,” Myers and Simmons explained. The researchers pointed out some possible ways to “ease the market impacts of the coming wave of older homeowner departures,” such as offering home improvement financing and social services for those who wish to age in their homes instead of moving. 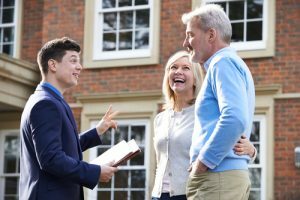 Another way to ease the impact is by helping the millennial generation to replace some of the boomers as they exit the market by ensuring “sustainable” financing options for first-time buyers. 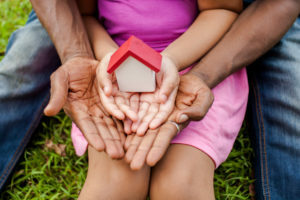 “Fostering a smooth intergenerational handoff of housing assets will likely require approaches that span the age spectrum and that seek to forge a bond of mutual housing market interests between old and young,” Myers and Simmons said. Following the rezoning of Downtown Far Rockaway in September last year, the city has now announced the first new affordable housing developments that have come about as a result of that rezoning. Together these two projects will bring 670 affordable apartments to the neighborhood. The first of the two projects will rise at city-owned lot at Beach 21st Street. The city has picked The Community Builders, Inc, a housing nonprofit, to develop 224 apartments at the site, 130 of which will be offered to those making 60 percent of the area median income. The rest of the apartments will be offered at different levels of affordability. In addition to the apartments, the project will also have 90 parking spots, 8,000 square feet of community facilities including an early childhood education center, and 24,000 square feet of ground-floor retail. 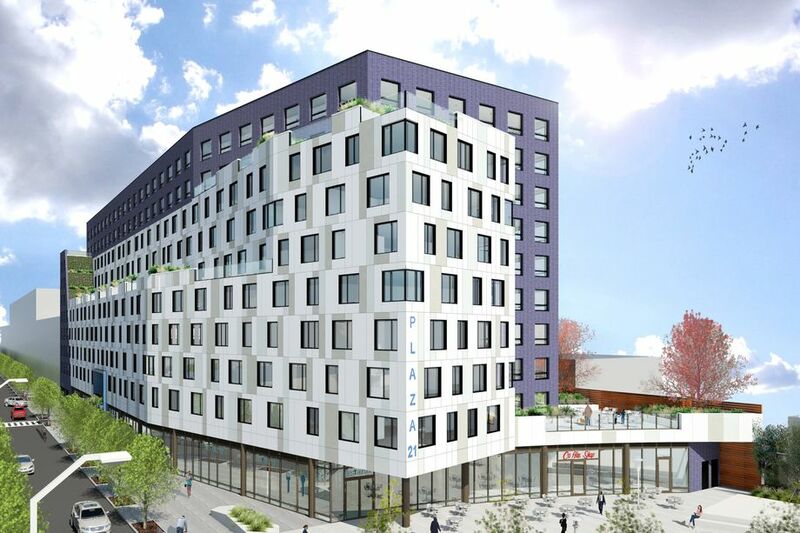 For the second project, the city’s Department of Housing Preservation and Development and Housing Development Corporation have secured construction financing for affordable housing developer Phipps Houses to build 457 apartments in the Far Rockaway Village. There, Phipps Houses is transforming an abandoned parking lot into housing, public space, and retail. In addition to the affordable apartments, the first phase of this redevelopment will also include 92,000 square feet of commercial space and 23,000 square feet of public plaza space. Construction on this redevelopment is expected to wrap in 2021. The Beach 21st Street development meanwhile will launch construction next year, and wrap in 2021. Of course, once the first mortgage holder completes foreclosure and that lender becomes the outright owner of the HOA property, that party must timely pay all HOA dues and assessments going forward. 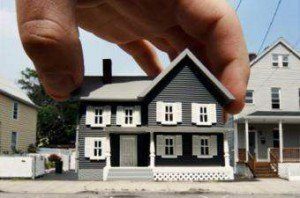 If those assessments become delinquent, the lender or its successor would become subject to collection costs, including attorneys’ fees, similar to any other unit owner, as well as foreclosure by the HOA. As soon as the redemption period expires in redemption states, or the lender becomes the outright owner of the property through other means, the lender should ensure the HOA is contacted and that the HOA account is kept current. Certain associations may also strategically time when they levy special assessments to try to get lenders on the hook for those expenses. 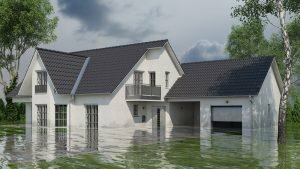 For example, consider the instance when an abandoned, mortgaged HOA unit has a fire in one year causing the HOA to incur costs for repairing that unit, but the lender does not foreclose its mortgage until the following year. 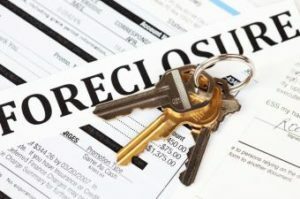 The HOA may delay levying the repair costs until after the mortgage foreclosure sale. Since the HOA lien statute may not define when those repair costs actually “became due,” it may be unclear without court intervention whether the lender is truly obligated to pay those assessments. A foreclosing lender who claims a first mortgage position should also ensure that property records are consistent with that senior lien claim as early as possible. This is particularly true in non-judicial foreclosure states, where senior liens can potentially foreclose and wipe out junior liens without notice. If an HOA forecloses its own lien and has a sheriff’s sale, all junior mortgage liens that fail to redeem from the HOA’s foreclosure, where applicable, will become wiped out. If there is a previous mortgage that was paid off by the intended first mortgage, but not properly satisfied or released of record, the intended first mortgage could be deemed a second mortgage and wiped out by an HOA lien foreclosure. This same result could also occur when intended first and second mortgages are recorded in the wrong order. A Minnesota court recently decided that the priority order of liens may be set as soon as the HOA’s sheriff’s sale is completed, preventing the lender from establishing priority later through a judicial action. Mortgage holders should record Request for Notice documents for prior lien foreclosures wherever applicable. In certain states such as Minnesota, these Request for Notice documents must be recorded separately from the mortgage. Importantly, mortgage holders should also diligently review any foreclosure notices immediately upon receipt—as well as related property records. Lenders should never assume they hold first mortgages until after they have reviewed property records confirming that status. 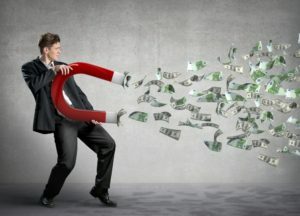 If a lender does successfully challenge an HOA through litigation, it is possible in certain jurisdictions that the lender can recover attorneys’ fees and litigation costs. 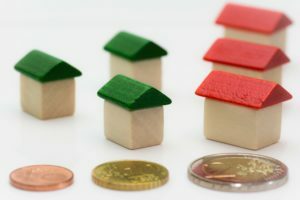 In various jurisdictions, a court may award reasonable attorneys’ fees and litigation costs to the “prevailing party.” Moreover, if the lender is able to establish that the HOA willfully failed to comply with the HOA statutes, the court may award punitive damages as well in certain jurisdictions, such as Minnesota. 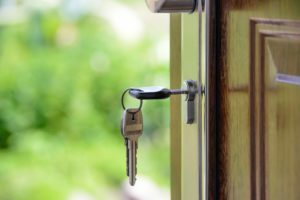 In sum, lenders need to be wary of HOA liens and their foreclosures, and act quickly to spot and resolve issues as soon as they arise. Otherwise, lenders may end up paying significant and unnecessary costs to HOAs, or worse, lose their liens entirely to HOA lien foreclosures. Housing supply showed its first signs of easing in the second quarter and rose 12.2 percent over the first quarter, according to Trulia. Despite this rebound being the largest second-quarter spike in inventory since 2015, the report on housing inventory by Trulia found that supply continued its downward trend on a year-over-year basis. Inventory continued its downward trend seen over the past 14 consecutive quarters and was down 5.3 percent from a year ago, Trulia said. Additionally, the report found that some of the nation's most unaffordable metros experienced inventory relief. They included New York and Los Angeles, where housing supply inched up 1 percent and 2.9 percent respectively, on a year-over-year basis. San Diego, California posted the largest inventory growth of 22 percent year-over-year. This, compared with a 28 percent decrease registered by this metro during the same period last year. Despite the rise in inventory, the report found that affordability continued to remain a challenge, especially in large metro areas, as the upward creep of prices and mortgage rates put homes in these metros further out of reach. "More inventory may be helping to cool off the bidding wars in these areas, but homebuyers are getting no relief from the unaffordability squeeze," Trulia said. Like San Diego, the report found 25 other metro cities that were rebounding from inventory decreases last year. Of these, Nashville, Tennessee and Salt Lake City, Utah built more than their historical averages in 2017. 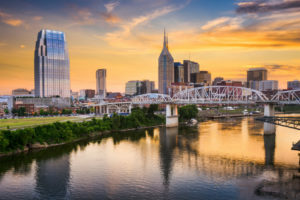 According to the report, Nashville posted a 52 percent inventory gain in the second quarter compared with a decrease of 11.6 percent during the same period last year. Salt Lake City saw an inventory gain of 48.6 percent from a 16 percent decrease in inventory recorded in the previous year. Apart from these cities, Fort Worth and Dallas in Texas; Greensboro, North Carolina; Washington D.C.; Portland, Oregon; Silver Spring, Maryland; and Little Rock, Arkansas also witnessed a double-digit spike in inventory when compared with the same period last year. First-time foreclosures in New York's Five Boroughs stagnated at it its too-high-for-comfort level, according to a recent report by PropertyShark. The city tallied 881 scheduled foreclosures in Q2, which is about where they were in Q1 and a year earlier. Foreclosure numbers have stayed near the 900 mark since the beginning of 2017 when they more than doubled compared to most of the previous three years. Most scheduled foreclosures were in the boroughs of Queens and Brooklyn, which made up about two-thirds of the cases. Queens' 356 scheduled foreclosures amounted to a 17 percent uptick over Q1, but it was down from 388 properties a year earlier. Despite the high number of foreclosures, there was an 8 percent drop in foreclosure auctions in the borough in Q1, according to the report. Brooklyn saw 226 properties head to the auction block in the borough during the second quarter, but even with the second-most-foreclosed properties in New York City, the numbers were still down 14 percent year-over-year and down 18 percent from Q1. Foreclosure cases were up 39 percent year-over-year in Staten Island. However, fewer properties headed to the auction block compared to the first quarter of 2018. “In total, 146 homes were scheduled for auction in Q2 2018,” the report stated. That's a 23 percent contraction quarter-over-quarter. There were 127 homes scheduled for action in Bronx in Q2, a year-over-year dip of 8 percent and a month-over-month drop of 9 percent. Meanwhile, Manhattan closed Q2 with 26 properties headed to the auction block, a 28 percent decrease both year-over-year and quarter-over-quarter. Homes entering pre-foreclosure dropped 13 percent from Q2 of 2017, the report found. There were 2,772 residential lis pendens cases, which, despite the yearly drop, was an 8 percent increase quarter-over-quarter. At the borough level, Queens had the most lis pendens cases in Q2, with 1,005. Brooklyn followed with 861 pre-foreclosures, then Staten Island with 378. “Year-over-year, pre-foreclosures decreased in most boroughs, the only exception being the Bronx,” the report stated. There was a 2 percent uptick there. Brooklyn recorded the largest year-over-year drop in lis pendens filings, 16 percent. Editor’s Note: This story originally appeared in the July issue of MReport, out now. Traditionally, putting together a mortgage has been an intricate, mostly manual process, with lots (and lots) of paper. But with advancing technology, much of that is changing. As the industry becomes increasingly digitized, there are opportunities for not only improving existing processes but mining the wealth of data that comes along with it as well. Technological advancements done the right way mean saving the originator and the client’s time. With this extra time, mortgage professionals can focus on clients and provide all of the things machines can’t. When dealing with financial information, however, it is especially critical for innovation to be paired with implementation, placing customer security as the highest priority. Today, the confluence of several technologies, including digital documentation, robotic process automation, and data mining, is advancing the mortgage industry and helping mortgage professionals focus more on customers and customer service, and less on time-consuming and repetitive tasks. Before the housing bubble burst, the average mortgage application ran about 100 pages, a stark difference from today’s 500-page-plus application file, according to the MBA. From tax returns to bank statements and everything in between, borrowers and originators alike have been drowning in seas of paper. The move to digital documentation has helped to make gathering this information easier and more efficient for all parties, yet it remains cumbersome. Although these mountains of pages still exist, today’s move to digital processes means the pages might not appear in any physical file folders after all. Most lenders are now able to accept applications and files digitally, and e-signatures are a widely used tool. So, rather than gathering paper documents and transporting them by hand or sending them in manually, borrowers can quickly email documents, submit via a photo portal, or allow companies to access their information directly online. These advances have helped streamline the mortgage process for many borrowers and lenders, but there is still room for improvement. The day of the truly digital mortgage has yet to dawn, but the industry continues to move closer through increasing use of recognition and workflow technologies, which continue to show marked improvement. Digital documentation has also helped mortgage lenders and servicers, as well as others involved in the process, to streamline their information-gathering and verification processes. This has paved the way for further advancement in terms of leveraging complementary technologies for automation and data mining. Proper use of encryption and other secure protocols also assists in improving sensitive data protection as compared with legacy, paper-based processes. 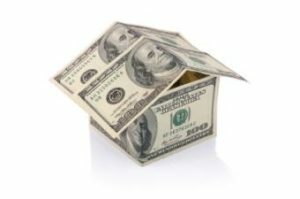 Mortgage origination is not the only area of the overall process that will benefit, however. Loan servicers can be aided by document automation as well. As new loans are brought in for servicing, an automated program can make sure to account for all the documents required for every loan and double-check for system data accuracy. As the MBA has concluded, there could be hundreds and hundreds of documents associated with each loan, which results in a cumbersome, time-consuming onboarding process— and the number of documents just increases for seasoned loans. As these documents are automatically brought into the system, the process can also include automatic indexing, which means that files will be ready and retrievable for customer service. With so much of a mortgage’s processing and documentation now digitized, there is a plethora of information taken in by mortgage companies, creating the opportunity for further technological advances to not only become more efficient but better in quality. For this reason, many companies are considering such new technology as robotic process automation (RPA). Simply put, RPA is software that runs software. For those in the mortgage industry, these automated processes can be programmed to complete workflow steps and perform quality checks and other helpful tasks. RPA bots accomplish this by accessing a platform and gathering information through many of the same application interfaces used by the operations and sales teams. With the latest advances, bots have become highly intelligent and can be programmed for tasks such as opening, reading, and composing a response to an email message. For mortgage professionals, this kind of technology could be implemented in a variety of ways to help streamline processes and speed up response times, while minimizing human error. For example, an automated process could receive a loan application, read the file and attached documents, and either acknowledge receipt or notify the applicant if documents are missing, or if the wrong documents have been sent. Automation at this level can move extremely fast, meaning applicants don’t have to wait until after their originator is out of that meeting or finished with that phone call to get a response. Additionally, if further or different documents are needed, the process of gathering those missing documents can be started immediately, keeping the application moving without delay. Automation also removes the component of human error, as this technology minimizes the potential for data entry hiccups. For an industry steeped in paper, digital document automation is a significant boon for both speed and accuracy. Although some people might be concerned that all this automation will make people less important, the opposite is true. These technological improvements allow people to focus on higher value activities and on delivering an exceptional customer experience, as they will have more time to work one-on-one with the client and ensure that processing exceptions are resolved in a timely manner. By delegating back-end data processing tasks—whether it be for origination or servicing or one of the other many components of the complex mortgage process—mortgage professionals will be able to focus on the kinds of discerning decisions that are critical to getting the customer the right level of service to meet their specific needs. The move toward digital transformation has also moved the industry forward in terms of access to data. Those details captured during the mortgage lifecycle among the many hundreds of pages of documentation, while unwieldy in their paper form, are data-rich sources once digitized and accessible via automation. Processing and financing mortgages generate a wealth of data, from information such as which loan products are the most popular to where the most loan activity is happening. But this data must be pulled together in a responsible and meaningful way. Accessing and analyzing this information can help mortgage companies evaluate their performance and pinpoint where there is a need in the market. But it can also help them serve their existing customers better, as well as help originators to locate clients who might be in the market for a refinance or similar product. By leveraging advanced algorithms that analyze a customer’s data, mortgage professionals can be primed to approach customers at the right time and with the right product that is not only in line with changes in the market but also aware of the customer’s impactful life events. This data can be even more useful to companies with interests across the spectrum of the home buying and financing spectrum. For instance, if a company has branches in real estate sales, mortgage origination, and servicing, there is even more data to be mined and analyzed. This rich supply of data can give everyone involved better insight into the overall picture for each client, versus the narrow view typically seen by each segment of the process. And, of course, this means greater global data, as well, helping the company to make better business decisions about products and services based on concrete information from their client base. Of course, with increased digital and automated technologies come increased challenges, and paramount among them are the risks posed to the privacy and security of customer data. Along with keeping up with the latest technological advances, it’s imperative for mortgage companies to fully commit to customer privacy and security, as protecting client data is every lender’s responsibility and should be its highest priority. Internal risk-mitigation measures should focus on the three key components: people, process, and technology. This focus requires oversight and measures in place that cover all aspects of not only the data being gathered but of the people working with that data across the company, from originators to underwriters and more. That means robust training for personnel and support for that training, from the top down. Daily processes, such as change authorizations, should be ingrained with best-practice basics. The technology itself should be constructed with layers of monitoring built in, to provide proactive and reactive responses to any threat. In addition to making sure their security is of the highest quality, mortgage companies must also ensure that any and all third-party vendors also maintain the strictest security protocols. Companies have the responsibility to do their due diligence and discover the details of how data is stored, transported, or shared by their partners. With today’s technology, risk should be examined at every layer in any partner relationship, as it is not only good for the company but also critical for the consumer. Although the mortgage industry is often seen as slow to change, change comes nonetheless, with technology advancing and moving the industry forward. As digital documentation becomes the standard, new automatic processes can be put in place, freeing up time for mortgage professionals to focus on clients and higher-level decision-making. This digital data can then be analyzed to help mortgage professionals, regardless of their role, to better serve clients with the appropriate products and services. The right technology can help bring together the mortgage originator with the servicer, the title company, the real estate brokerage, and more, creating a seamless experience for the client. As technology continues to advance, it should remain in service to the people it strives to help. This kind of technology not only enhances the work experience for employees and the service experience for clients, it also enhances the quality of the products created as well.